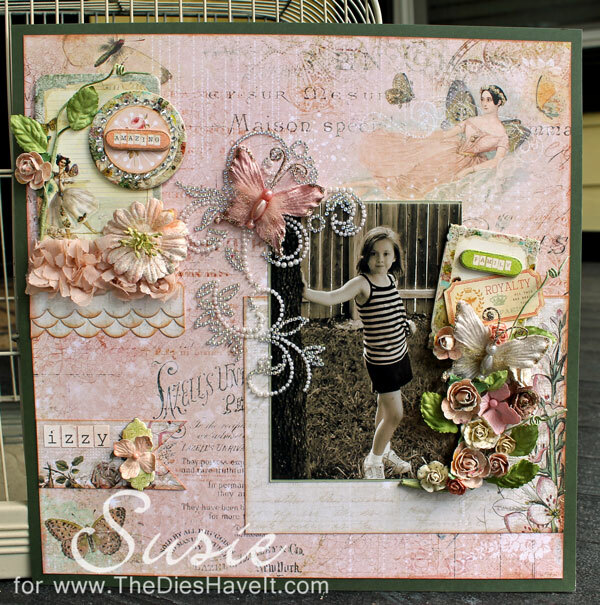 Today's project is a layout I made earlier this week using mostly Prima products. I fell in love with their new Fairy Belle collection. And I knew I would be using it with a picture of our Izzy that I had snapped a few weeks ago. Not everything on this page is from the same collection, but most of it is from the Fairy Belle one. How can you not fall in love with all their products? I printed the picture in a sepia tone so that while it IS the focal point, it blends with the products well. I am not all that experienced in clustering, but I am fairly pleased with the outcome. Now I just need to find the perfect spot in the house for this layout. I love having pictures of all the grandchildren throughout the house! 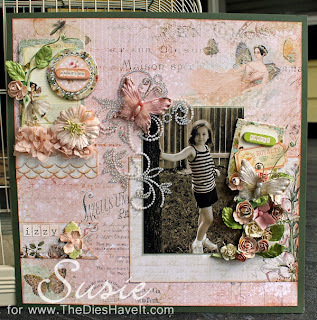 Stay tuned because tomorrow I'll be back with a project using Joy' s Life Stamps.